Before we look at the numbers, let’s take a brief look at the test system that was used. All testing was done using a fresh install of Windows 7 Ultimate 64-bit and benchmarks were completed on the desktop with no other software programs running. 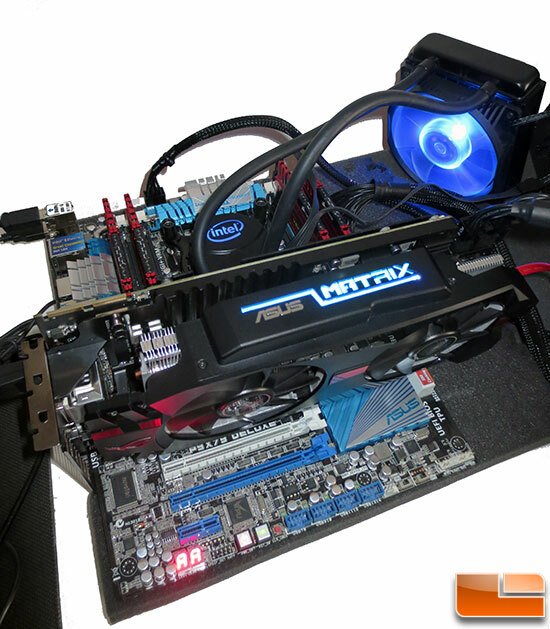 The Intel X79 platform that we used to test the all of the video cards was running the ASUS P9X79 Deluxe motherboard with BIOS 0906 that came out on 12/22/2011. The Corsair Vengeance 16GB 1866MHz quad channel memory kit was set to 1866MHz with 1.5v and 9-10-9-27 1T memory timings. The OCZ Vertex 3 240GB SSD was run with firmware version 2.25.